That's all from Holyrood Live on Wednesday 6 March 2019. The Scottish government was defeated in a debate on early years childcare, led by the Scottish Tories. The Tories highlighted concerns from private providers about the roll-out of 1,140 hours of funded childcare. 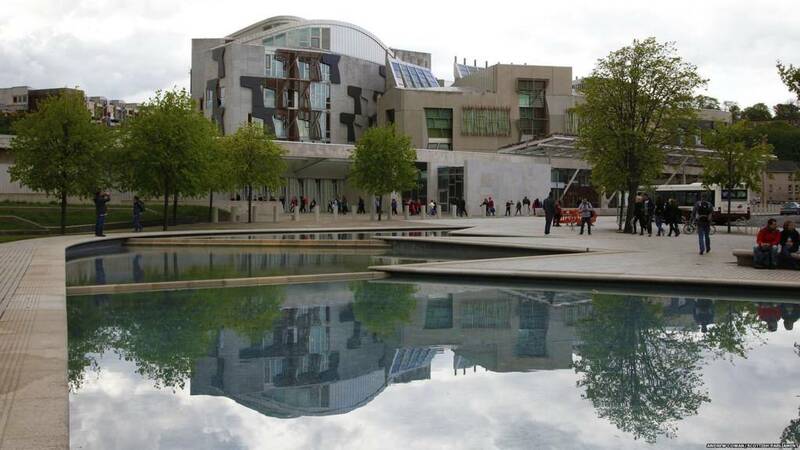 MSPs backed the a motion urging ministers to take "urgent action" to address "flaws" in implementation of funded childcare allowance by 58 votes to 57. The Labour amendment was also passed, which highlighted the financial pressures faced by councils in delivering local services, but Education Secretary John Swinney's amendment was rejected with one more MSP voting against than for. Public Health Minister Joe Fitzpatrick says we all want a healthier Scotland and we must take steps to address the challenges around an ageing population and increasing demand. Health and social care integration puts services under the control of local communities, he says. And we are taking further steps to ensure everyone who requires access to palliative care will have it by 2021 the minister adds. Healthcare Improvement Scotland have been charged with testing this access he says. Mr FitzPatrick highlights the challenge of data which helps plan for care and points to efforts to improve on this. There will be no limit set on how long a patient has left to live before their condition is considered "terminal", the Scottish government announced last April. Current rules for disability benefits and Universal Credit say a patient must have six months or less to live before their illness is classed as terminal. Instead, medical professionals will use their own judgement to decide whether an illness is terminal. This will allow the patient to be automatically fast-tracked to the highest rate of disability benefits when they are devolved to the Scottish Parliament. Lib Dem MSP Alex Cole-Hamilton says Marie Curie nurses give out more than palliative care, but passion and love to those in their last hours and their families. He tells the chamber about the palliative care received by his father-in-law. After his death, Marie Curie sent flowers to the family he adds. Labour MSP Lewis Macdonald begins by saying Marie Curie has played a vital role in providing palliative care for people in Scotland and beyond for many years. The great daffodil appeal and the pins MSPs are wearing are a way to remember those who have been lost to cancer as well as to support the work of the charity, adds Mr Macdonald. Marie Curie are part of a wider support network for those people with cancer, he says. The Labour MSP tells the chamber that as the population increases, demand for palliative care will increase and it's vital that the Scottish government supports the sector. He closes praising all the Marie Curie nurses, staff and volunteers for the work they do. Tory MSP Brian Whittle says this debate offers the opportunity to thank Marie Curie and others who provide palliative care. He tells the chamber of his friend Dawn Flockhart who lost her battle with number last month at the age of 51, but was cared for in the Marie Curie Edinburgh hospice. Dawn is still the record holder of the under-15 girls 200m event. The Tory MSP says we need to map out palliative care for the future given the increase in complex needs, particularly with regard to carer numbers. "Whether it’s worn in celebration, in solidarity or in memory of a loved one, your daffodil tells a story." From the Marie Curie website. SNP MSP Emma Harper, standing in for Gordon Macdonald, welcomes the Marie Curie Scotland staff and volunteers to the parliament. Ms Harper praises Deputy Presiding Officer Linda Fabiani for her support for the campaigns run by Marie Curie. The great daffodil appeal is one of the most iconic, she says. The SNP MSP says each daffodil people wear tells a story. She tells the chamber that Marie Curie provides care and support to over 8,600 people and their families every year in Scotland. SNP MSP Emma Harper will now highlight Marie Curie's 33rd annual great daffodil appeal, which raises funds for the charity. Marie Curie offers a range of support services for people with a terminal illness and their families, from practical information to nursing and hospice care. There are currently two Marie Curie hospices in Scotland: one in Glasgow, the other in Edinburgh. The Scottish government amendment on agriculture is agreed with 82 votes for and 33 against. The Labour amendment is also agreed. 88 MSPs backed it and 27 voted against. The final Tory motion, as amended, is agreed (82 for and 33 against). The Scottish government amendment in the name of John Swinney is defeated, with 57 MSPs backing it and with 58 against. Labour MSP Iain Gray sees his amendment agreed to with 58 MSPs backed it and 57 against. The Conservative motion as amended is agreed to with 58 MSPs backing it and 57 against. Tory MSP Peter Chapman says the "great prize" Brexit offers is to design a system of support better suited to Scottish agriculture. He says CAP is outdated and has not been working for several years. Despite constant requests for clarity from the Scottish government, we only know it plans to continue with CAP rules until 2024 he says. Mr Chapman calls for a suite of environmental measures to be put in place and for support for the food sector to grow. We must leave the EU with a Brexit deal the Tory MSP argues and adds the SNP is risking this not happening by not backing the PM. Rural Economy Secretary Fergus Ewing says we are now in a position where the government has set out a clear five year plan, that will set out a transition if Brexit does happen. Mr Ewing insists there has been a positive reaction to this. He accuses the Tories of negativity and carping, advising the party to stop. "My job is to do my best for Scottish farmers, I am determined." He announces that over the last few days, 10,600 offers of loans to LFASS recipients have been made. The rural economy secretary suggests the Tories undertake a period of prolonged silence.